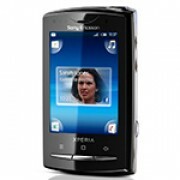 Unlock Sony Ericsson Xperia X10 mini pro (U20a U20i) - Safe IMEI Unlocking Codes for You! Unlock Sony Xperia X10 mini pro (U20a U20i) Handset! In case your Xperia X10 mini pro (U20a U20i) doesn't ask for the code and there is no designated field to enter it, please DON'T PLACE ANY ORDER, contact us first for support. Looking to get your Xperia X10 Mini Pro unlocked? SafeUnlockCode can help you! We offer a service that is safe, secure and costs just a fraction of the price that mobile operators will charge you for getting unlocked. We also try our hardest to make it as easy as possible for you - all you need to do is follow the guidelines and you’ll be able to get unlocked within two minutes! If you’re looking to get a different handset unlocked instead, just take a look at our huge directory. When you get your Xperia X10 Mini Pro unlocked, you’ll be able to use your phone on many networks such as O2, Orange, Vodafone, AT&T, Telus, Bell, Rogers and many, many more. Just follow these steps to start the process of getting your phone unlocked! Don’t worry it’s super easy to do! IMEI - To find your IMEI just dial *#06# or alternatively look for it by taking your battery out and finding it on the sticker. Country - We’ll need to know the country that you bought your Xperia X10 Mini Pro in. Network - On top of the country and IMEI, we’ll also need to know the network you’re locked to. NOTE: We cannot refund you for wrongly entering in any of this information! We support the cost of every IMEI we try to unlock, so please make sure you are entering details correctly! The next step involves checking whether your Xperia X10 Mini Pro has any unlock attempts left. - First, put in a SIM card that your phone isn’t locked to. - Next, turn on your phone and wait till you can access the ‘emergency calls’ screen. From here, simply dial *#*#7378423#*#*. Alternatively press your capacitive keys in the following sequence - Menu Back Back Menu Back Menu Menu Back. The number alongside network will represent how many unlock attempts remain on your Xperia X10 Mini- if your number is 0, you will not be able to get unlocked with us! So please do not try to use our service! How to Unlock Sony Xperia X10 mini pro (U20a U20i) Phone - Tutorial! Follow these steps to finish the unlock process and finally get your Xperia X10 Mini Pro unlocked! First, send us your IMEI (first 15 digits) Then send us your locked network, country, and an email address so we can send you an unlock code. Next you’ll need to place an order and check payment and availability options before doing so. Once your order has processed and you’ve received your email containing the unlock code, unlocking your phone is as simple as can be. Simply enter in a SIM card like you did before, turn your X10 Mini Pro on and then wait for the screen to display the page that asks you for an unlock code. Enter in your code and your X10 Mini Pro will be unlocked! If you’re having problems with these last steps, feel free to contact us.